The Infant Optics DXR-8 video monitor didn't perform well in comparison to the competition. This monitor has an easy to use parent unit, automatic pairing for devices, the best images for a dedicated monitor, and it has a long battery life. It also comes with an additional zoom lens for an increase in camera placement options, which is something unique to the Infant Optics monitors. Unfortunately, the camera is relatively average in most ways with disappointing clarity on daytime visuals and night images where the baby has no face. The indoor range is functional up to 4 walls, the second fewest in the group, and we think the Infant Optics might struggle in larger homes with more space and rooms between baby and parents. Given that the Philips Avent SCD630 has higher scores in almost every metric, and the highest range for a dedicated monitor, we think it is a better buy with a lower list price. The Infant Optics DXR-8 is an easy to use dedicated monitor with an additional zoom lens. Unfortunately, this monitor has a disappointing indoor range and only okay video quality. Infant Optics began in 2011 developing and manufacturing baby monitors. The company continues to advance their designs and manufacturing techniques using feedback from users. After products launch, they continue to improve functionality and reliability. With a goal of becoming the most trusted baby monitor brand in the USA, they are planning to introduce new monitors to fill every gap in the monitor market, and continue their focus on after sales customer service with live agents available seven days a week. The camera with the Infant Optics DXR-8 has the lowest EMF reading out of all the dedicated monitors we tested. The Infant Optics DXR-8 performed better than a handful of the dedicated competition, but not well enough to justify the higher price tag. The sections below include performance details for the Infant Optics in our tests. The Infant Optics earned a 5 of 10 for the range. For indoor range, the Optics worked up to 4 walls and 65 ft. The Philips Avent SCD630, the best-dedicated monitor in the group, worked up to 5 walls and 92 feet. In our open field test, Infant Optics worked up to 600 ft and began breaking up at around 650 ft. We lost all signal at 750 ft. The daytime images of the Infant Optics DXR-8 are average compared to the competition, with better detail in baby's face, but no discernible letters on the eye chart. The Optics earned a 5 of 10 for sound clarity with a maximum decibel level of 86 dB. The sound clarity is better than most of the competition, and we did not experience any distortion, echo, or interference during testing. However, it doesn't offer sound activation or sensitivity adjustment, so you need to set the volume on the parent unit at 1 or 2 to cut the background noise. However, doing this could result in sound sleepers failing to wake when the baby starts to cry. The Infant Optics DXR-8 night image is worse than the daytime images, with no face on baby and blurred letters on the chart. The Optics also earns a 5 of 10 for video quality. The daytime images are not bad, with color that is slightly darker than the real color in the baby's room. The letters on the eye chart are a bit fuzzy, but they tend to clear up when you zoom in, which also lets you see the baby's eyes and facial expression. Night vision is a little darker than average, but using the zoom feature helps make things clearer and more evenly lit. The image itself has decent contrast for night vision but is a little fuzzy around the edges. We think it would be nice if the volume buttons were on the face of the Infant Optics DXR-8 parent device, as opposed to inside a menu or shortcut option. The Optics earned an 8 of 10 for ease of use, one of the higher results in the group for ease of use, and the highest for dedicated monitors tying with the Philips Avent SCD630. This monitor is a plug and play option that pairs the parent unit with the camera automatically. The user interface for the Optics is one of the easiest to navigate. It has simple and straightforward buttons. It does have a shortcut button for volume and brightness, but the shortcut is almost the same as going through the menu features, so we still wish it had buttons outside the menu options on the body of the parent unit. Maybe the only downside reported by testers was a choppiness to the pan of the camera after a few weeks continued use. The image didn't seem to match with the navigation on the screen. This navigation problem requires turning the device off and back on to fix. The Optics earned an 8 of 10 for battery life, with a runtime of 11.5 hours in our tests. The monitor parent device has a rechargeable Li-ion battery that Infant Optics claims will run 10 hrs on standby mode and 6.5 with the screen on continuously. Given that we experienced a longer run time, we feel the manufacturer claims are probably accurate enough for parents to trust. The menu options on the Infant Optics DXR-8 are intuitive and few require more than one click; this is where you find most of the features of the monitor including pan, tilt, and zoom. This monitor earned the highest score for the features metric out of the dedicated monitors. 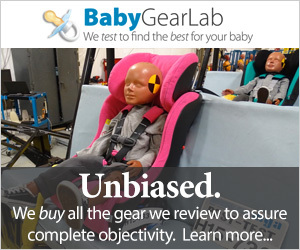 The Infant Optics earned a 5 of 10 for the features metric. This parent unit screen is a fairly standard 3.5 in and pairs with up to 4 cameras (sold separately). It does not offer a belt clip or other feature for wearing the unit. The main feature that makes Infant Optics unique is the additional lens you can manually place on the camera. This "zoom" lens allows for a closer look at the baby, but we aren't sure it is a handy tool unless you use it as a permanent part of the camera so you can place the camera further from your baby for a decrease in EMF exposure. Otherwise, we think most parents are unlikely to use it rather than regularly adding and removing it to the camera. It certainly isn't something you can do for a better look while the baby is sleeping. This monitor offers additional features many parents may want. In our experience, only a few are features you'll use regularly, but the others may be something you want "just in case". This monitor has a temperature sensor on the camera which is handy for ensuring baby's room is a suitable temperature for avoiding SIDS, but only if the sensor is accurate. Our Optics sensor read 73.4 degrees in a nursery that was actually 75. This disparity is not the largest in the group, but the lack of accuracy is concerning. The Infant Optics camera has an average EMF reading of 1.89 when placed 6 ft from the reader. The further you place the camera from the baby, the less EMF exposure. The parent unit placed at 3 ft has an average reading of about 3.6. We assume the parent device will be within arm's reach, so the level can vary and will be higher the closer it is to you. Amazon $165.99 - 28% off!